It may be March but it certainly doesn’t feel like it. Once again weather is making the headlines – and the forecasts make grim reading. The ‘Beast from the East’ is biting and Storm Emma is adding a further dusting of chaos into the mix. 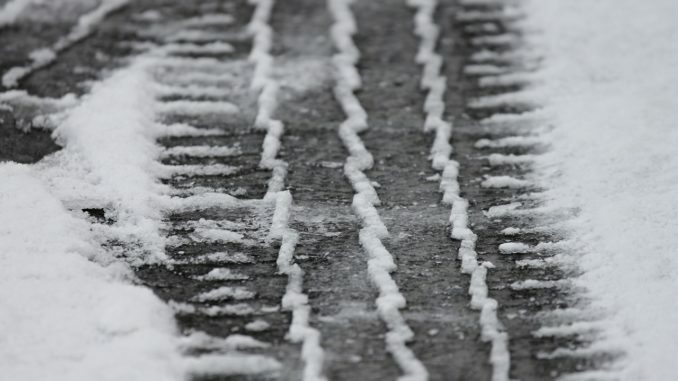 For businesses, disruption is almost inevitable in these kinds of conditions as employees struggle to make it in to work, find offices closed when they get there, or simply choose to ‘batten down the hatches’ and stick it out at home. Keeping customers informed and customer service up and running are the biggest worries for many businesses. Fortunately, technology is increasingly capable of providing a viable solution during these periods. Contact centres today are increasingly choosing to opt for self-service options such as web and IVR to provide anxious callers with access to information, status updates, and to steer priority calls quickly to the right advisor. IVR systems handle high volume, repetitive requests from callers extremely well, making them ideal for dealing with high call volumes during crisis situations and in bad weather. IVR also provides an instant response, which is the first priority in any highly emotive situation and promotes a far better caller experience than waiting in a queue. And, when used in tandem with real agents, IVR provides significant business benefits by enabling call centre staff to focus on high-value, priority or emergency calls. And when the pressure is on, businesses can have the peace of mind of knowing that all these service offerings can be kept up and running in the cloud regardless of the weather. The best cloud-based contact centres ensure complete business continuity in three main ways. First, good cloud solutions deliver a high level of disaster recovery integrally, meaning clients should not require significant additional cover. For clients with existing onsite customer premises equipment, cloud solutions can also provide reserve back-up disaster recovery protection. Second, cloud contact centres enable agents to connect to the technology platform and necessary applications from anywhere that has Internet access. Companies can therefore continue to service the client base – even in an outage – reducing the impact of what could otherwise have been a disastrous situation, resulting in dropped calls, negative customer experiences and lost revenue. Third, cloud-based solutions are ideally-suited to supporting homeworkers, allowing businesses to benefit from a pool of agents dispersed across a geographic territory or region that can ‘ramp up’ quickly in the event of one or more facilities going down. Companies can always benefit from switching on an extended contact centre at any times of raised demand – whether that is planned or unplanned. Cloud allows them to do that while only paying for what they use when they use it. If they are launching a new gadget or game onto the market, they will need to scale, particularly if there are issues with distribution or supply. And if there is a sudden customer surge due to a product failure or a serious concern, they will need to be agile enough to deal with it quickly and efficiently. The latest cloud contact centre solutions allow them to do all of this and more. But it’s in weather like this, with snow and ice causing chaos and organisations under pressure to deliver the best possible customer service, despite it all, that the benefits of cloud contact centres are shown in their sharpest possible focus.